Sign in: One of my users forgot their password. How can I get them logged in? One of my users forgot their password. How can I get them logged in? 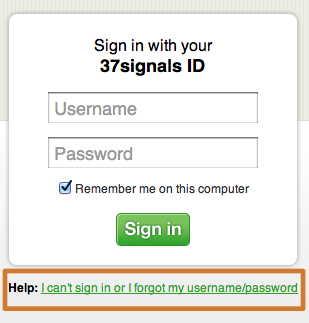 They’ll need to enter the email address associated with their 37signals ID. 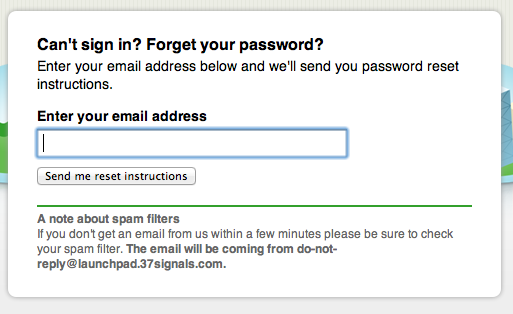 Basecamp admins can send a password reset email by going to the All People page. Click the ‘Edit’ link under your user’s name. You’ll see a password reset link on the Edit page.